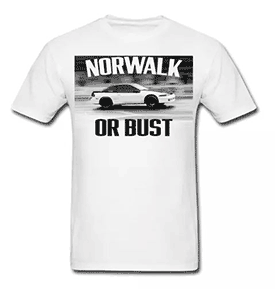 Exclusive DSM shirt designs, hoodies, calendars, and other merchandise for 4G63 and DSM enthusiasts - Eagle Talon, Mitsubishi Eclipse, Plymouth Laser, and even the Galant VR-4. Available online only. All DSM clothing orders are printed and fulfilled through our partner vendor, Spreadshirt. For questions about orders, tracking info, and returns, contact Spreadshirt directly. For design suggestions and new product ideas, contact us.